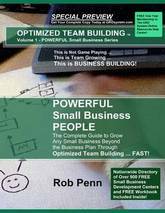 Powerful Small Business People: The Complete Guide to Grow Any Small Business Beyond the Business Plan Through Optimized Team Building ... Fast! It is a fact universally acknowledged that the British are obsessed with the weather. This is not surprising as no country in the world has such unpredictable weather, with such power to rule people's lives. THE WRONG KIND OF SNOW is the complete daily companion to this national phenomenon. From the Spanish Armada to the invention of the windscreen wiper, each of the 365 entries beautifully illustrates a day in the weird and wonderful history of the British and their weather. 31 January: The Big Freeze of 1963 brings the FA Cup competition to a halt: every football pitch in Britain is frozen: the third round takes 66 days to complete: the Pools Panel is formed as a result. 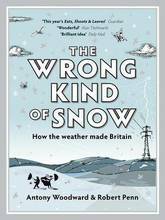 9 February: British Rail blames the 'Wrong Kind of Snow'. It was a journalist's phrase, but on this day in 1991 it stuck to the beleagured BR like flesh to ice. 15 July: The exceptionally hot and steamy summer of 1858 caused the Great Stink of London, resulting in the building of London's sewage system, still in use today. On the same day in 1930, rainfall in Yorkshire was so heavy that the Whitby lifeboat makes a rescue two miles inland. 10 September: A violent storm rather than British sea power defeats the Spanish Armada in 1588. Had the weather held and the fleet reached home, it would have been hailed as a Spanish triumph. Four centuries later, bad light and rain stop play at the Oval . . . And much much more. 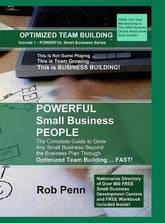 Powerful Small Business People: The Complete Guide to Grow Any Small Business Beyond the Business Plan Through Optimized Team Building! 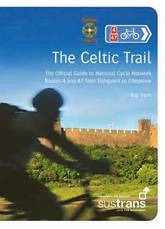 The Celtic Trail extends across the entire breadth of South Wales from the raw and romantic Pembrokeshire coast at the edge of the Atlantic Ocean, through the rural hinterland of Carmarthenshire and the fabled Valleys to the Severn Bridge at the English border.Comprising Route 4, a 360 km linear trail that broadly follows the south coast from Fishguard to Chepstow, and the 250 km Route 47, which offers some glorious alternatives through the heights of the Preselli Hills and the Valleys, the Celtic Trail is a spectacular long-distance journey with shorter loop options, rail-linked sections and traffic-free family rides. Taking you from Fishguard on the rugged West coast of Wales to just beyond the English border at Shrewsbury, the 340km Lon Camria & Lon Teifi routes cross Mid Wales and the Cambrian mountains, taking in the seaside resorts of Cardigan and Aberystwyth and the glorious Ystwyth and Elan Valleys as well as many peaceful country lanes and cyclepaths on the way. 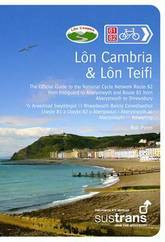 Whether tackling the route in a week of cycling or taking your time and riding it in smaller chunks, this bilingual pocket guide provides breakdowns of each section, advice on detours, where to stay and what sights not to miss. Gan fynd a chi o Abergwaun ar hyd arfordir garw Gorllewin Cymru i ychydig y tu hwnt i'r ffin a Lloegr yn yr Amwythig, mae llwybrau Lon Cambria a Lon Teifi 340km o hyd yn croesi Canolbarth Cymru a Mynyddoedd Cambria, gan fynd drwy drefi Aberteifi ac Aberystwyth a Chymoedd godidog Ystwyth ac Elan, yn ogystal a nifer o lonydd cefn gwlad tawel a llwybrau beicio ar hyd y daith. Boed eich bod yn taclo'r daith mewn wythnos o feicio neu'n treulio amser ac yn ei theithio mewn adrannau llai, mae'r canllaw poced dwyieithog hwn yn rhoi braslun i chi o bob adran, cyngor ynglyyn a dewisiadau eraill, mannau i aros a pha olygfeydd sy'n rhaid eu gweld. The fourth in Abbeville's series of unusual, illustrated vacation guides, Bicycling Along the World's Most Exceptional Routes follows the success of Cooking School Holidays in the World's Most Exceptional Places, Spas: Exceptional Destinations Around the World, and Walking the World's Most Exceptional Trails. In this new guide, excursions range from an easy ride through the Loire Valley in France, with stops along the way to taste local wines, to a more challenging trail through Tibet into Nepal. Among the other destinations is a route into northwest Ireland, which winds through an unspoiled landscape of lakes and rivers, and a trip beginning in Tallinn, Estonia--where you'll have time to explore the city's historic streets and squares before heading out into the countryside--and ending in St. Petersburg, Russia. 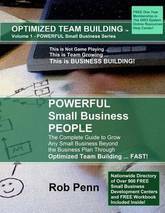 Included in this book is a holiday to suit everyone's interest and ability. The trips last between seven and fourteen days and are easy to organize yourself.  Alternatively, the author provides information about specialist travel companies who will make all the reservations for you. You can opt to travel with a group or ride independently at your own pace, following a set of detailed notes and maps. Ground operators are on hand along the way to service your bike and make any repairs needed. 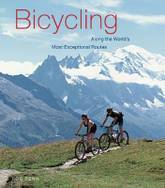 Whether you prefer the countryside with long, winding downhill runs or being dropped off on a mountaintop to admire the view before riding down through the terrain, this book will help you discover an extraordinary outdoors vacation.